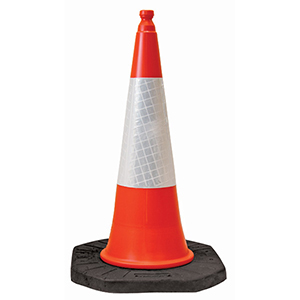 A NEW JSP® blow moulded barrier manufactured from UV stabilised impact modified HDPE. The design process was carried out in tandem with leading UK contractors to maximise wind flow through and around the system for unbeatable stability. Tested to ensure wind stability classes within BS8442 are achieved. Unbeatable stability – Designed in conjunction with leading UK contractors we have designed the Frontier Cross-Link® to maximise wind flow. This has led to a patent-pending barrier system with unbeatable stability. 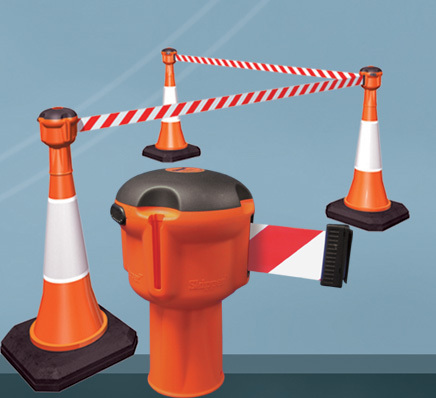 The Frontier Cross-Link® barrier has been tested to ensure its wind stability classes it within BS8442. Unique support technology – Stability can be increased even further with the addition of the patent pending Surefoot Bloc™ and telescopic stability poles. Flexible linking – The Frontier Cross-Link® has been designed with compatibility in mind. 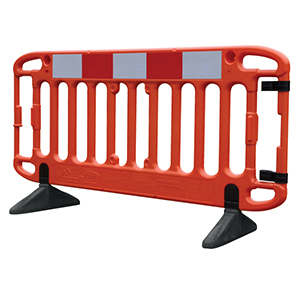 You can easily link the barrier system with other JSP® barriers as well as other brands. The flexible linking allows for the barrier system to be easily deployed on uneven ground such as rough terrain and kerbs. Anti-tamper devices – Keep your barriers safe and secure with our Surelock™ connectors. Easy storage – The Frontier Cross-link® barriers are stackable for ease of transport and storage. The stability poles can be stored inside the barriers and the clips, feet and link clips can all be folded away within the barrier. Bespoke branding – Our barriers can be made to order to suit your company. Increase brand awareness by selecting custom colours for the barriers and accompanying feet as well as embossing your company logo on the barrier. 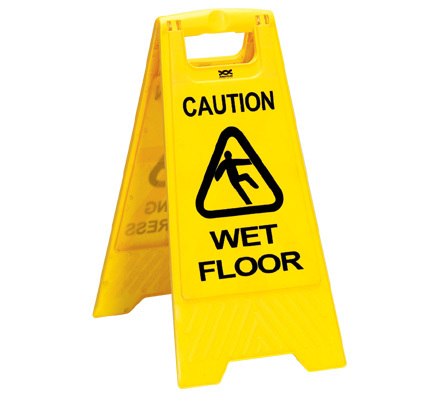 Minimum order quantities apply on our bespoke barrier service. 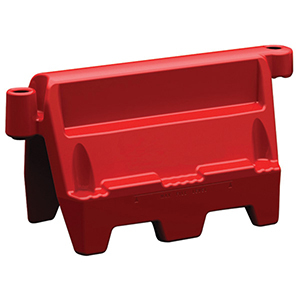 Accessories – From Ad board clips to linking pegs the Frontier Cross-Link® has a large range of accessories.